Everyone knows the American anthem. In it there is no lack of patriotic verses, but the song "The Star-Spangled Banner" has another special reason why it is so popular. The American anthem is considered a very demanding song to sing. That is why many performances of this hymn at public events can be heard only through the singing of professional singers. But what happens if the technology fails before a sporting event, and consequently the anthem does not play? At one of the high schools in Iowa, they know what to do in such a case! 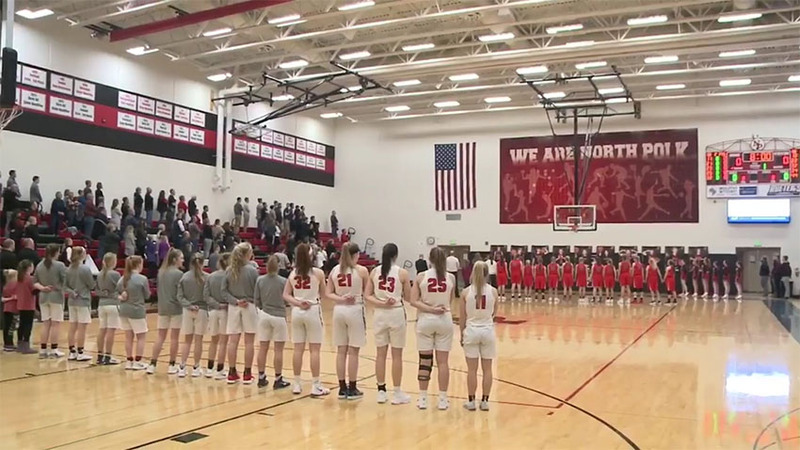 Before the start of the basketball match, it happened that the anthem did not start to play. At that time everyone in the hall united their strength, and they simply sang the American anthem. A great singing performance has now took over many Americans, and you will definitely enjoy the performance in the video yourself!